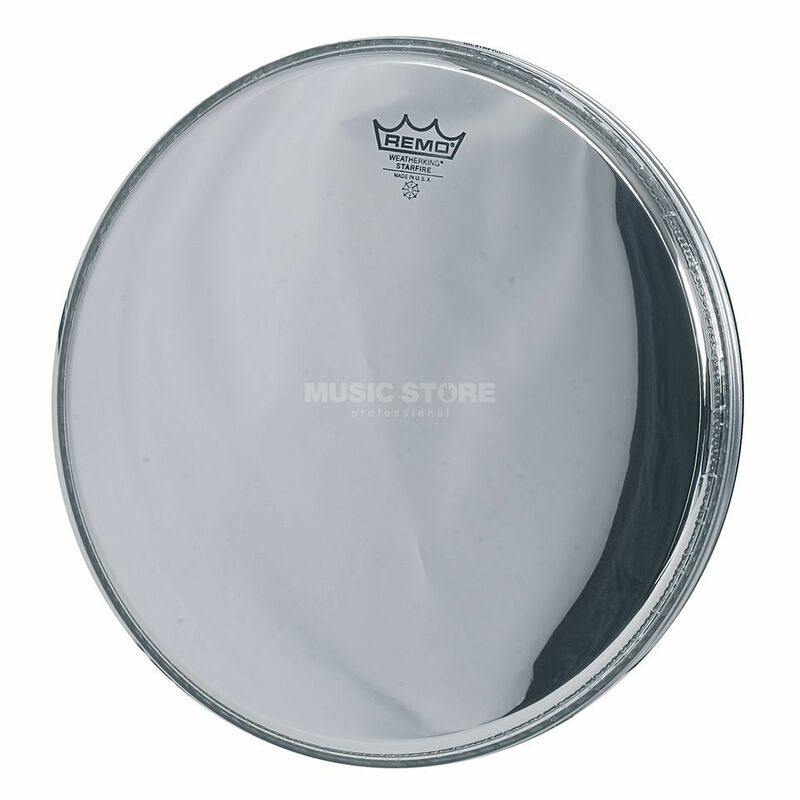 The Remo Ambassador Starfire Tom/Snare Batter/Reso Head Chrome 13" is a single-ply replacement head made from laminated 12-mil film with a reflective chrome look. The Ambassador Starfire Chrome heads feature controlled tones and sustain with a reflective look. Most popular as resonant heads because of their controlled sustain and distinctive look, these heads are available in a variety of size. Please see www.dv247.com for more sizes. I went with the Starfire drum heads after much researching online of the many different drum heads available from different manufactures, I knew I wanted single ply and having bought an old Premier kit which I was restoring, I wanted to give my drums a unique look and the Starfire was perfect, looks and sounds great! easy to tune and gives any drum great warmth and depth and really lets you hear the full range of the drum shell. Very happy with my choice!